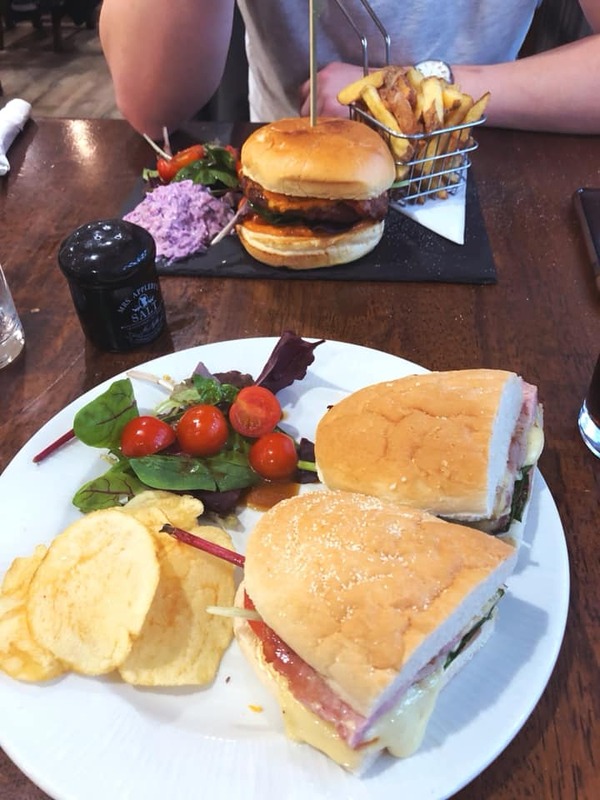 Eating out for lunch is one of my favourite things to do, and I love trying out new places around my local area. I’d popped into The Tin Coo last year and thought I would bring Cameron along this time to try it out. 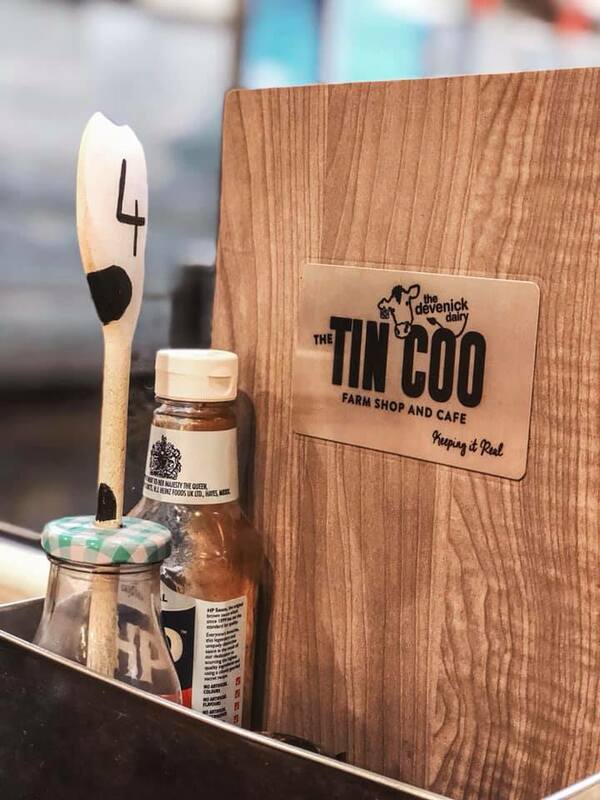 The Tin Coo is a farm shop and cafe located not far out of Portlethen, Aberdeenshire. 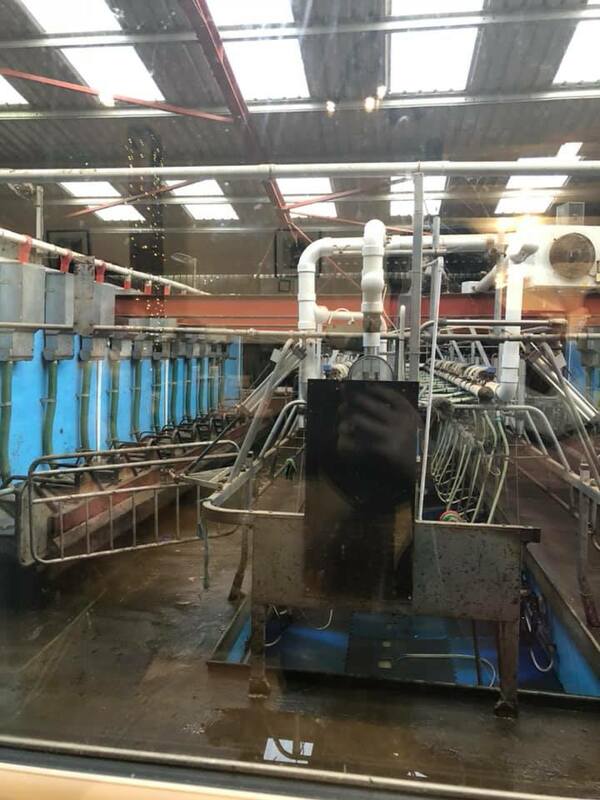 It’s a dairy farm in which you can actually see the cows getting milked through the windows in the cafe (picture below). Don’t worry if that’s not something you want to see while eating, as they have milking times of 5am and 4pm, so just avoid those times! 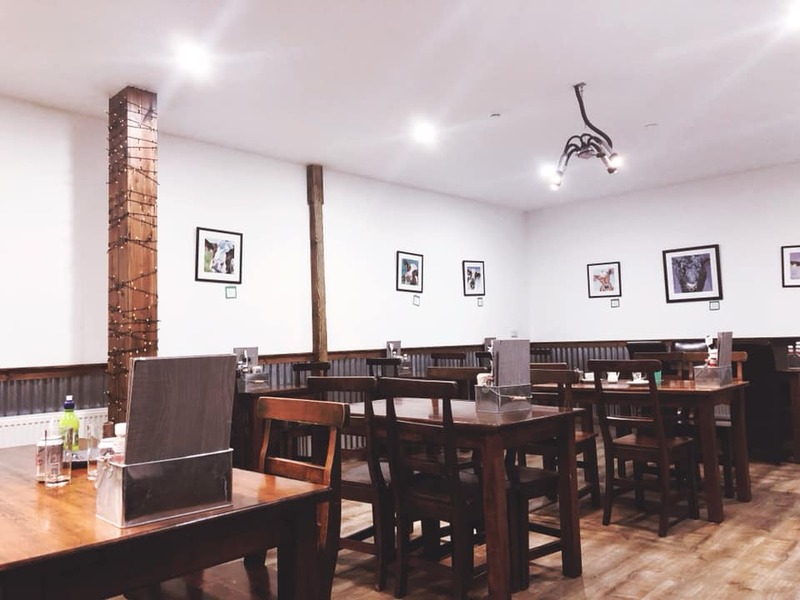 There is a viewing section of the butchery also in the farm shop in which you can see, as well as a soft play area for the kids. You can also view some of the farm animals on particular days! This is where you would see the cows being milked, however at the time we went they weren’t. The menu has an array of different choices, including a breakfast menu between 9am and 11:30am. We ate off of their lunch menu, and I chose the ‘BMLT’, which was basically a BLT but with camembert and it was delicious! Most of their ingredients and foods are also locally sourced or from their own farm which is great. Cameron chose the burger, in which I of course had a bite and it was amazing! The hand cut and cooked chips also gave me food envy and I wish I got a portion for myself. 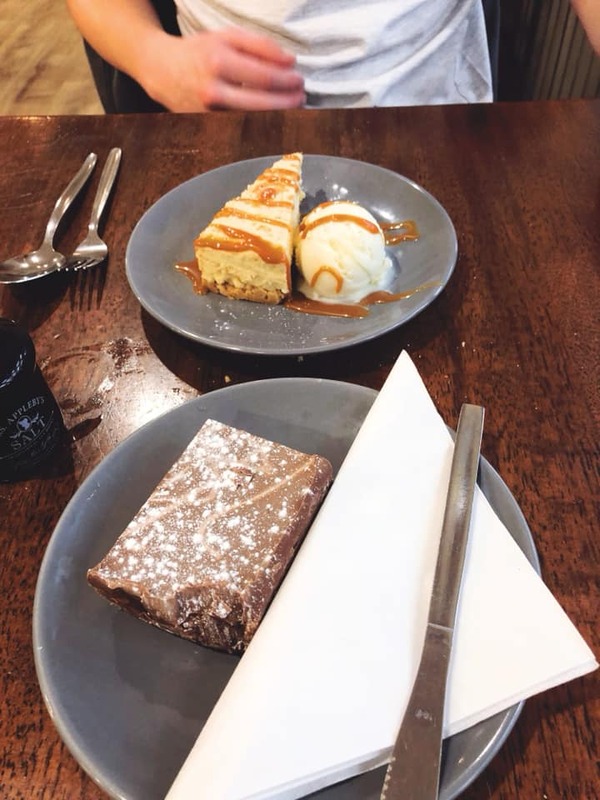 Of course we couldn’t leave without trying one of their homemade goodies, and I was so spoilt with choice I picked two… Cameron chose the Orkney Fudge cheesecake and I picked the Nutella slice. Also not pictured was the Milky Way slice I took away with me for later! All of them met our expectations and were defeated. You can visit their website here if you want to have more of a nosy about the products they offer and the farm itself. Personally, I highly recommend if you’re in the area and want a bite to eat or a browse around the farm shop. The shop is perfect for locally sourced goodies and gifts. I hope you enjoyed this post, and thank you for reading!